You are invited to experience an exclusive event at Houston's newest luxury venue, The Citadel. Enjoy a silent auction, keynote address, exclusive book singing with one of the nations top best selling authors, and networking over a delightful meal as we celebrate the programs offered through the Metamorphosis Conference, Inc. Sponsor Tables and Individual Tickets are available. Includes luncheon and free valet parking. Programs vary in diversity to attract women from all walks of life. We are sure there is an Empowerment Seminar that will help you! Metamorphosis Tackles the Topic of Infertility! Rinovum Women's Health will offer information to women struggling with infertility from a clinical and biblical perspective. This session will also serve to encourage those struggling with infertility that they still have a purpose in God with or without a child. Rinovum - Bringing products into the market that will enhance women's lives and empower them to take charge of their health. This session is free and open to anyone interested in attending and gaining knowledge. Share with your friends who have become discouraged in the process. Click to let us know you are coming! 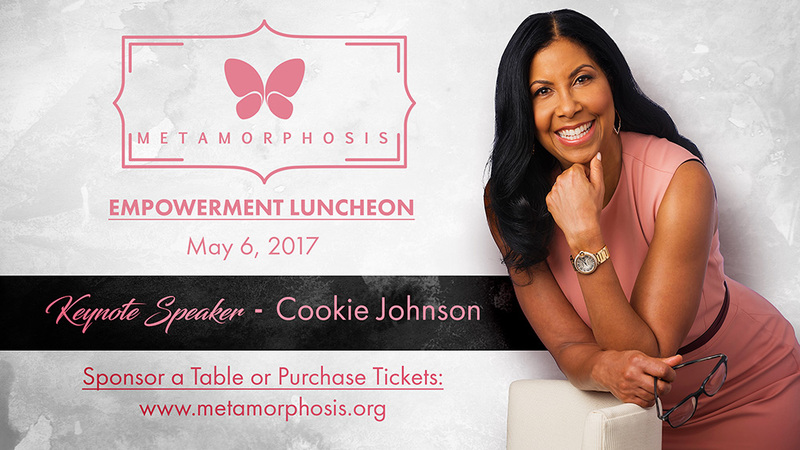 Metamorphosis Empowerment Seminars on Entrepreneurship and Relationships! We are sure there is an Empowerment Seminar that will inspire and empower you! The Millenials Speak! Gifted, Anointed and Living on Purpose! Young Gifted AND Anointed! These young women will share their story on finding their purpose and pursuing it with passion. Age what? You will be inspired as these millennials show that you don’t have to be a certain age to learn your purpose and to LIVE it! With Kia Grandberry Moore, Christina Letsinger, Tia Martinez, Adrienne Richardson and Kim Roxie. Hosted by beauty and lifestyle expert Lady Emmy. Join moderator Nikki Woods, senior producer of the Tom Joyner Morning Show, as she delves deep into the conversation with four men as they share, what a man really wants. Who are these men? Jay Barnett, the founder/president of TheMEproject, is an author, inspirational speaker and former football player. Al Davis is a licensed patent attorney and is known to his clients as "the ideas lawyer" who has worked with the Academy of Motion Picture Arts and Sciences, Oscars and the Grammys. Gerald Haddon is a Grammy nominated songwriter, producer and artist. Gerald hails from the famed Haddon music family with brothers Deitrick and David. He and his wife Tammi recently released a new CD - Awesome God. They have penned songs for Isaac Carree, Mary Mary and Kierra Sheard to name a few. Rev. AJ is a pastor and missionary, he is also known for his work in radio as he writes and produces national sports updates for broadcast on seven Christian radio stations..